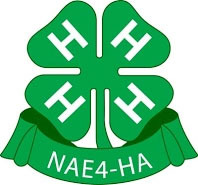 The 4-H Section of NCEA is the Nebraska Chapter of the National Association of 4-H Agents (NAE4-HA). Our membership consists of a variety of extension personnel. Many are 4-H assistants, associates or educators. We also have specialists, FCS and Agricultural Educators, Horticulturists, and retired members. The average Nebraska membership is 60 to 65 members. Membership is open to all extension educators, specialists, assistants and aides with at least a BA or hired before 1989. Advance the professional status of Extension staff. Exchange ideas, methods, and techniques. Strengthen communications with Extension administration. Provide inspirational climate for all its members. Foster team work among all Extension personnel.